I started topping off the six 4 foot x 4 foot wooden raised planters in our garden the other day and ran out of one of the ingredients, so had to stop. 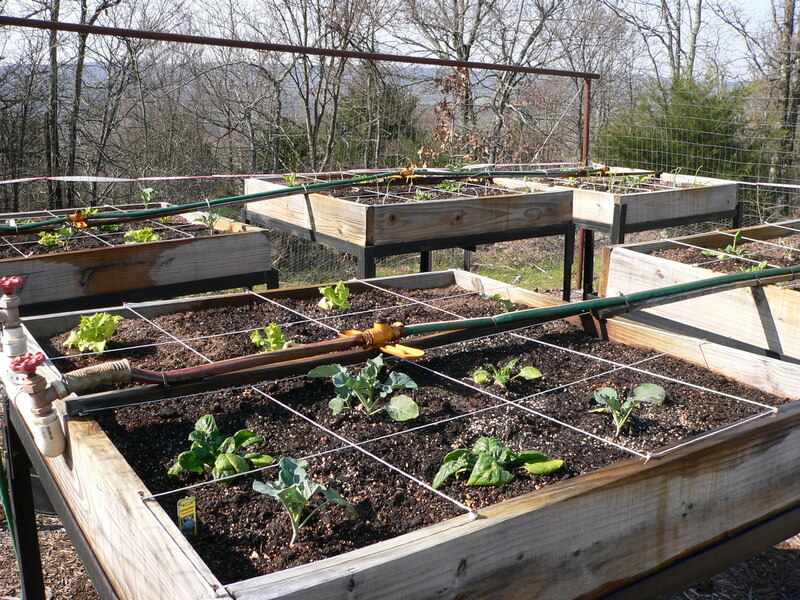 Mel’s Mix is a creation of Mel Bartholomew, author of Square Foot Gardening. 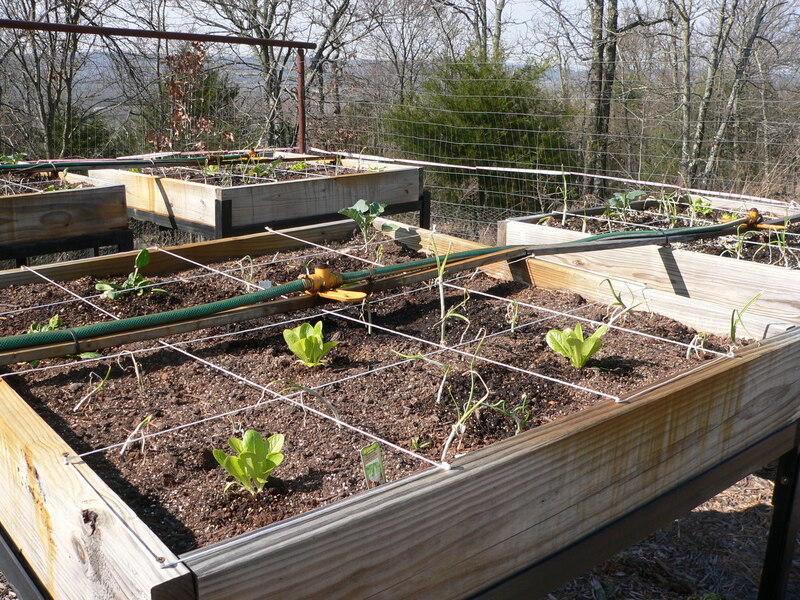 He has created a mixture that plants love, allowing people like me to bypass my poor, almost non-existent soil on top of our ridge line and grow veggies. We took his suggestions to the next level, since I’m getting long-in-the-tooth, and built planter boxes at my chest level, filling them with the mix so I don’t have to bend over or get down on my hands and knees. Ahhhh! 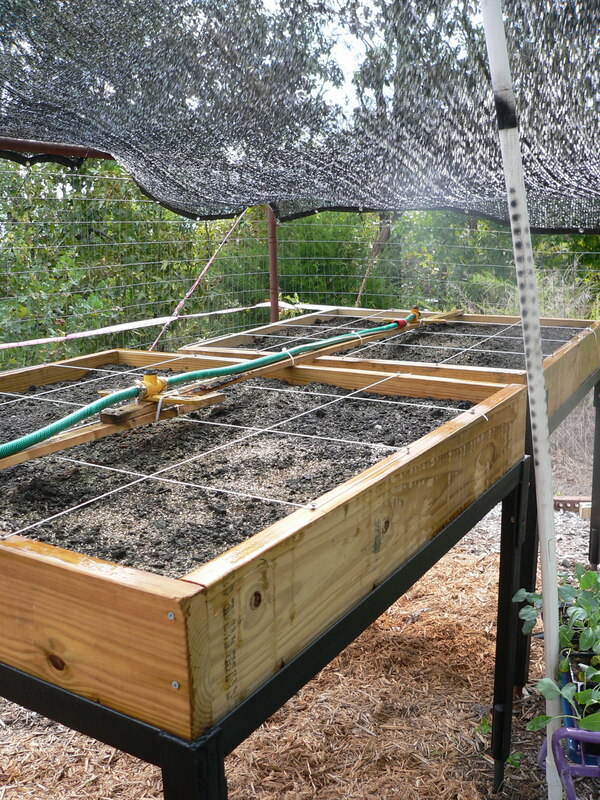 Mel’s Mix is a combination of peat moss, Vermiculite, and several different types of compost. I’m using cotton burr, barnyard, and mushroom – plus the compost we make ourselves, from time to time. I was going to try to finish getting my planters ready yesterday after we replenished our supply of Vermiculite. Amber, our 94-pound lab ‘puppy’ changed my plans by running into me full speed, knocking me flat on my back into the gravel and grass between our house and the shop. Since we were going bowling last night with friends, all I did yesterday was put one of the bags of Vermiculite in the lidded trash can and then nurse my wounds and rest. I’m going out now to make more Mel’s Mix and see if I can finish the additions to each of the six planter boxes that make up our raised bed square foot garden. Our newest tool addition is a very used portable concrete mixer. I dump all the ingredients into the mixer, then turn it on and let it mix everything up, then dump the mix into a trash can to take to the garden and put into one of the planters. I used to put everything in a wheelbarrow and use a hoe to try to mix it up, but it didn’t work nearly as well as the new system. When I finish adding the Mel’s Mix, I’ll stretch wire in two directions to make the ‘squares’ for planting. I’ll try to get some pics then to share with you before I start buying and planting plants. I still hold the name “Serial Seed Killer.” My efforts at getting seeds to sprout were unsuccessful. I’m going to start over, only trying to grow spinach, since I have real trouble finding any spinach plants at the local stores. Fingers crossed. 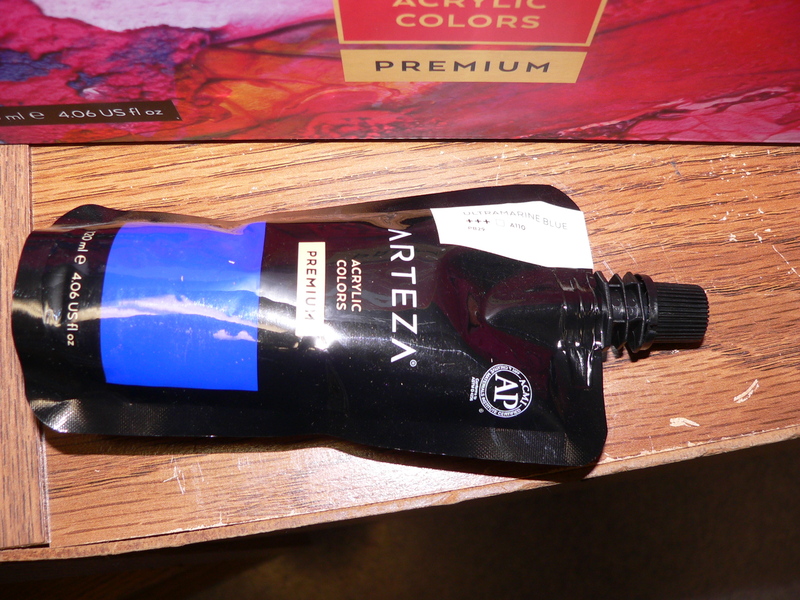 I found a super-good deal on a set of acrylic paints a few days ago. They arrived today, and I feel like a kid at Christmas! 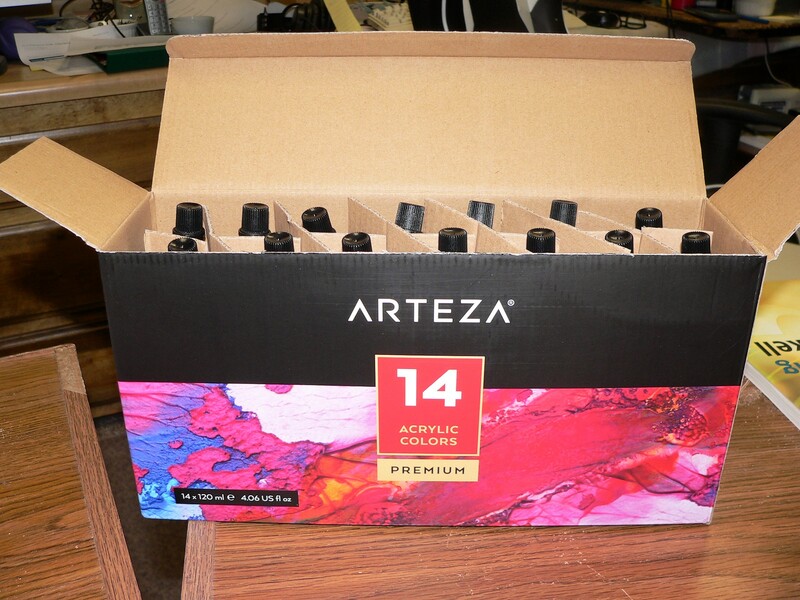 There are 14 tubes of paint in the set and I have paid more for 4 tubes – plus shipping – than I had to pay for this set with FREE shipping. Woo HOOO! For some reason I haven’t been up to my art room in quite a while. I felt I needed to accomplish more on my purging project to go through 30+ years of STUFF we’ve accumulated and really don’t need. I’m beginning to figure out now that the more I go through things, donating a bunch of things to others, throwing away a bunch of things, and then reorganizing and cleaning before putting what is good to keep again, I’m in a never-ending job. The more I DO, the more I SEE to do! 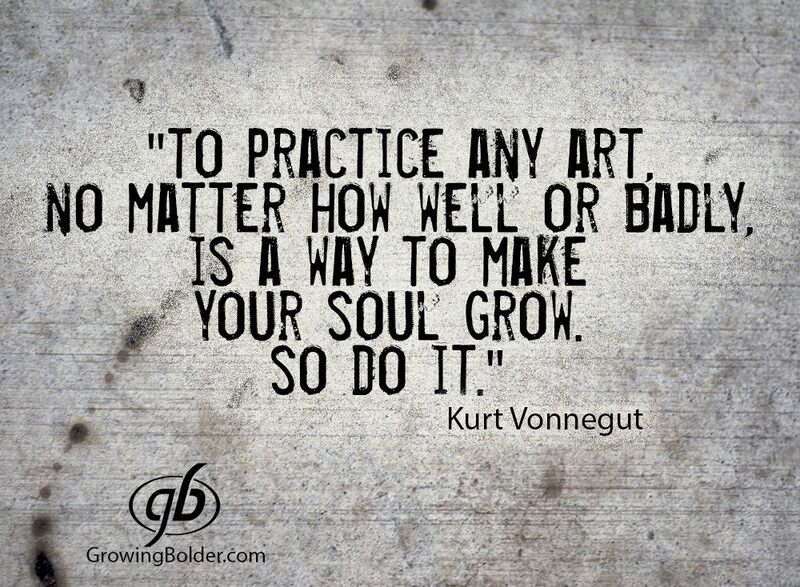 I’m going to give myself permission to take a bit of a break from all the work and play in my art room this week. I don’t know if I’ll come up with anything, but I’ll have a wonderful time dreaming, experimenting, and playing! 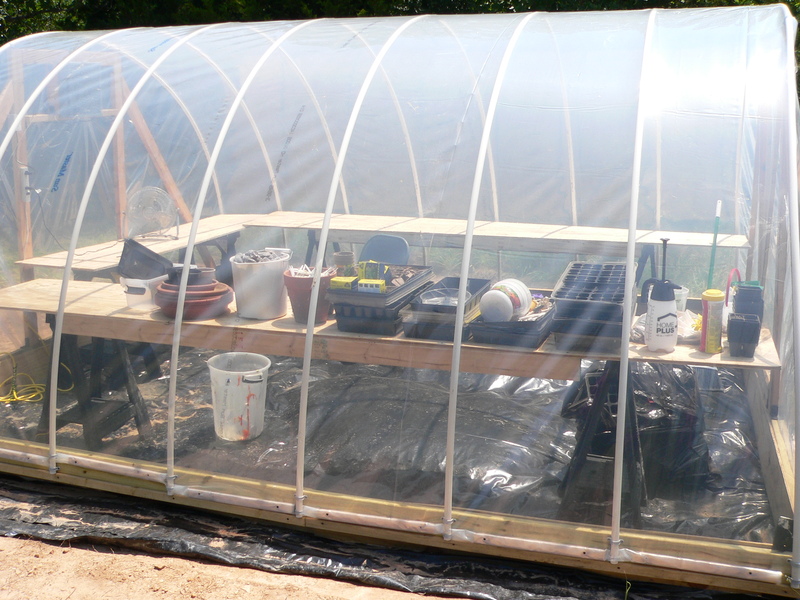 Since our weather is cooling off – finally – here in Greenwood, Arkansas – I’m getting more serious about starting things in the greenhouse. 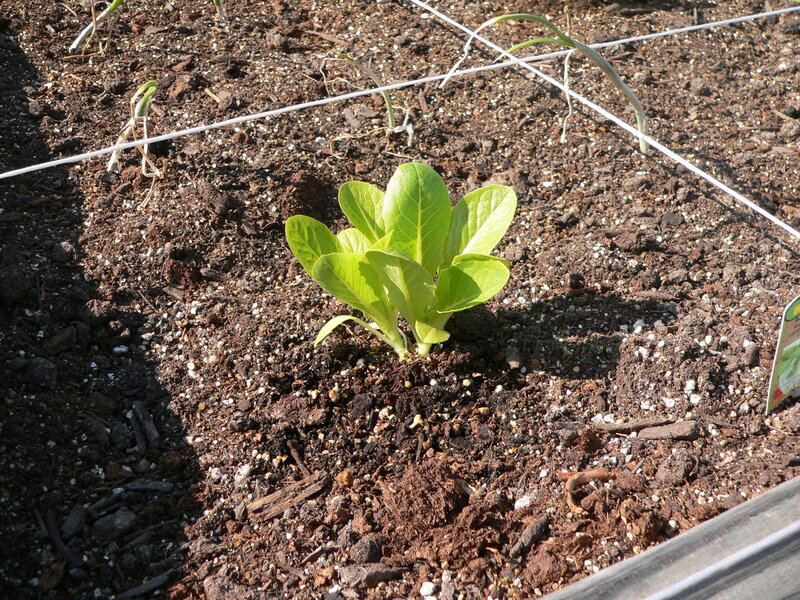 I told you recently I started some iceberg head lettuce plants. My plants are doing well so far. I just went out and watered the saucers under the plants this afternoon, and the plants seem happy with this procedure. 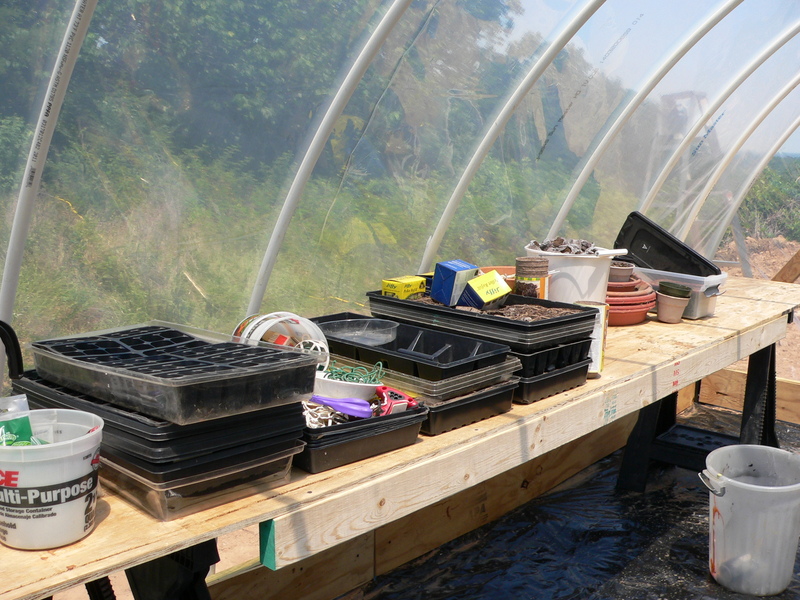 The exhaust fan was on – signaling that cooling was needed in the greenhouse. 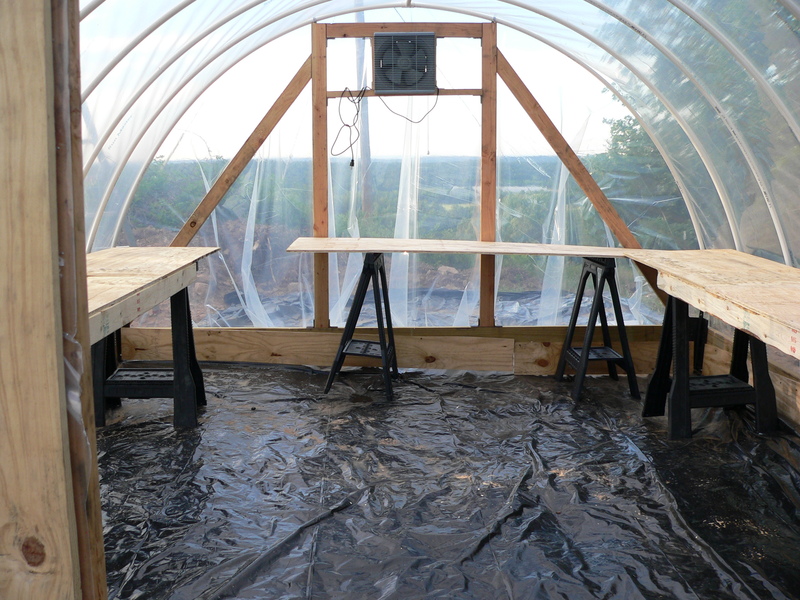 I still have the secondary fan on and the door on the opposite end of the greenhouse open to encourage as much air flow as possible. Today while watering, I noticed that fire ants were swarming again on the floor of the greenhouse, so I went back to the garage and mixed up more EIGHT bug spray. I really love this stuff! It kills the bugs while being safe for plants and animals, so I don’t have to worry that our pets will come sniff or come in contact with the wet spray. 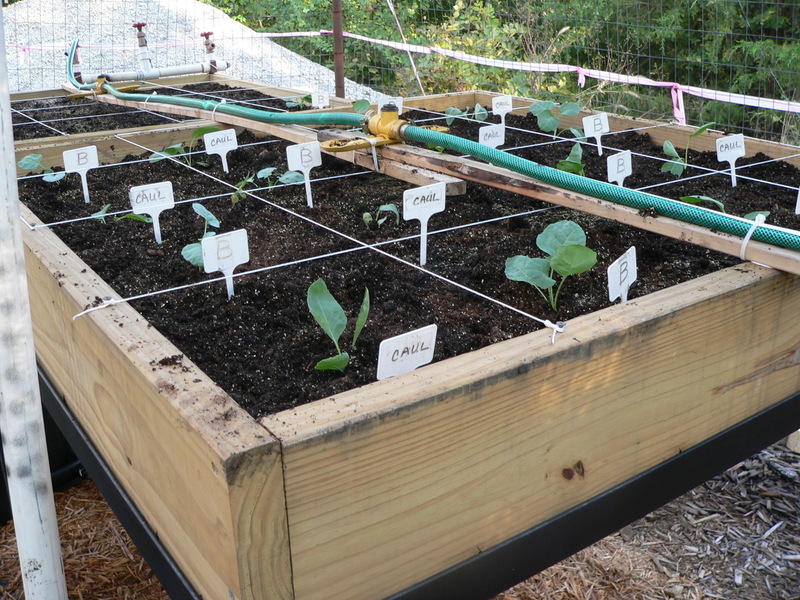 I also can spray the plants in our raised bed planters in the square foot garden when needed without worrying about the residue on the edible plants. 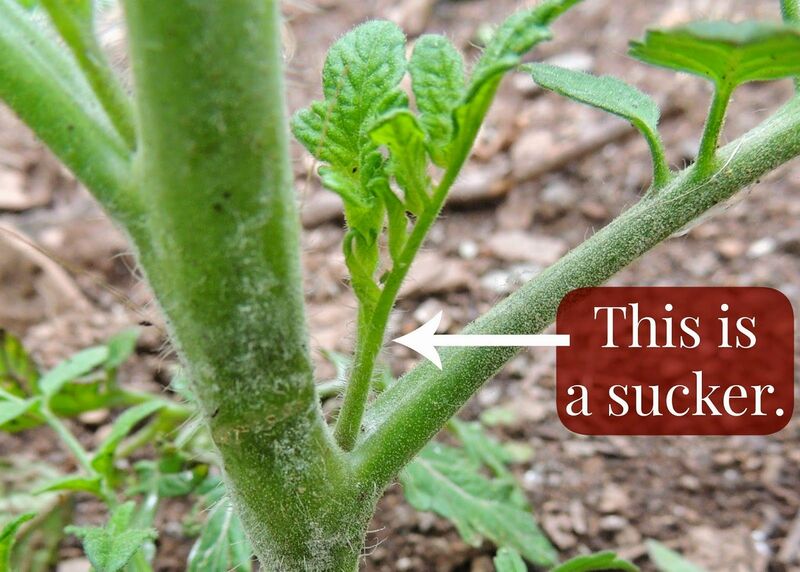 I sprayed ants, which had shown new ‘homes’ in several places, and then found and planted one six-pack of tomato suckers. The picture above shows what a sucker is. You can plant these and a whole new tomato plant is possible. I’m going to plant a whole bunch of these because I have no clue what I’m doing and expect to lose a lot of the plants. If I can get SOME to survive, though, I may actually get some ripe tomatoes before we have a hard freeze! I pretty much have the drawings I want in order to practice painting fur and feathers that look more realistic than I’m able to do now. I have most of my drawings done with the help of my new toy, a 4 LED Tracing Board, which allows me to trace most anything that fits on the board. 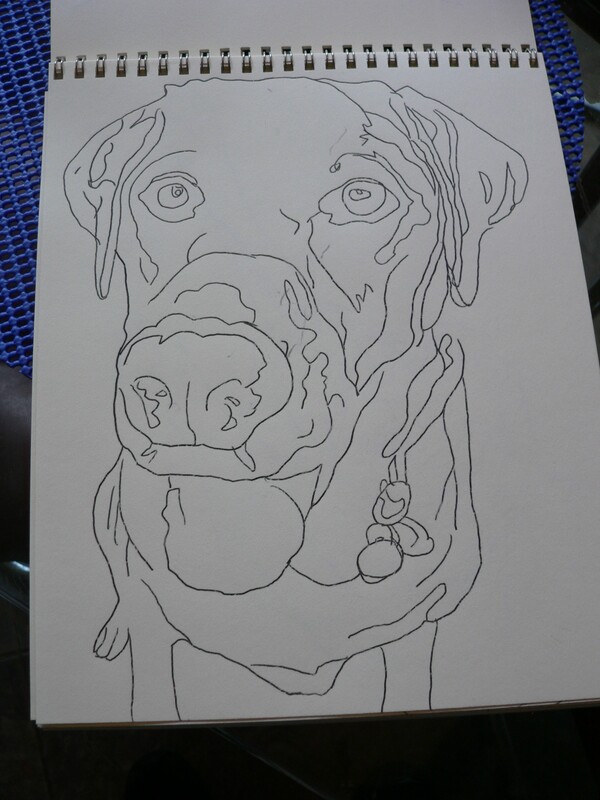 I then transfer the tracings to my sketch book using carbon paper. Then I can concentrate on studying the Keys to Painting Fur & Feathers, edited by Rachel Rubin Wolf. 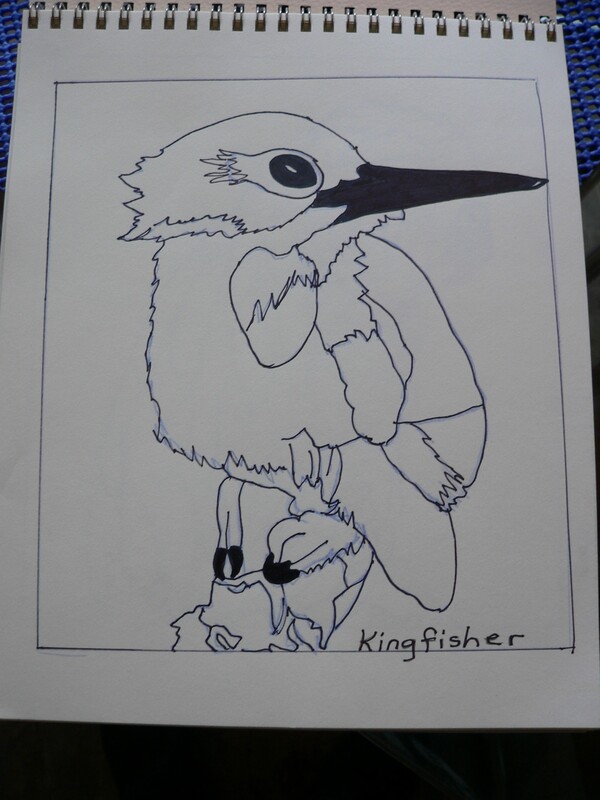 Kingfisher and Parrot are previous drawings of mine that I retraced in order to do what I hope will be a better job this time. Amber and Molly are our doggies. 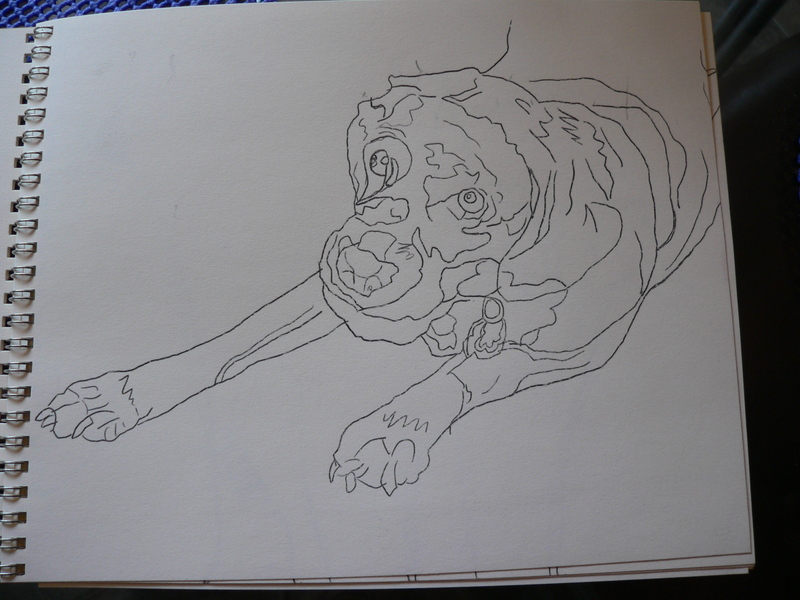 I traced these from photos I took of them. Our cat, Abby, is typically on her back or on her side, as in this picture, thinking deep thoughts. Smoke is a much more active cat, always about to leap from one place to the next. 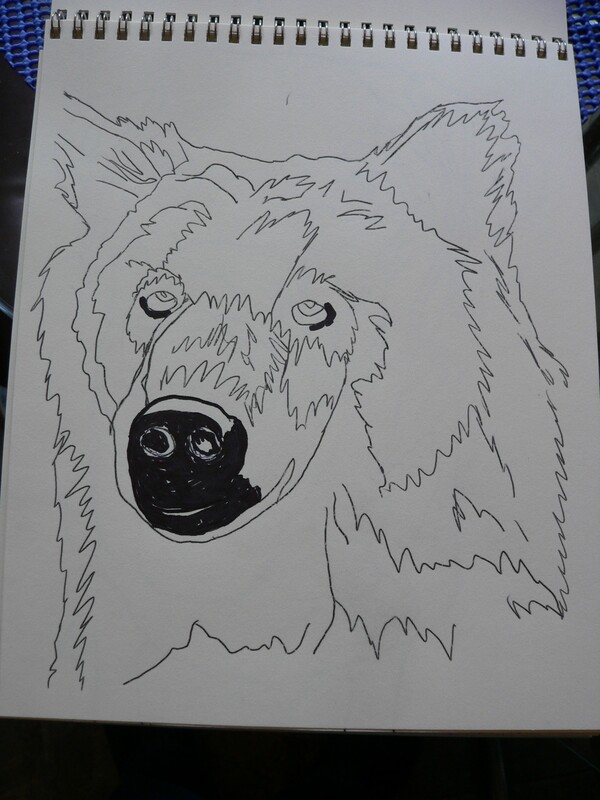 The bear is a drawing by Claudia Nice in the Fur & Feathers book, borrowed to try to learn to add the fur. 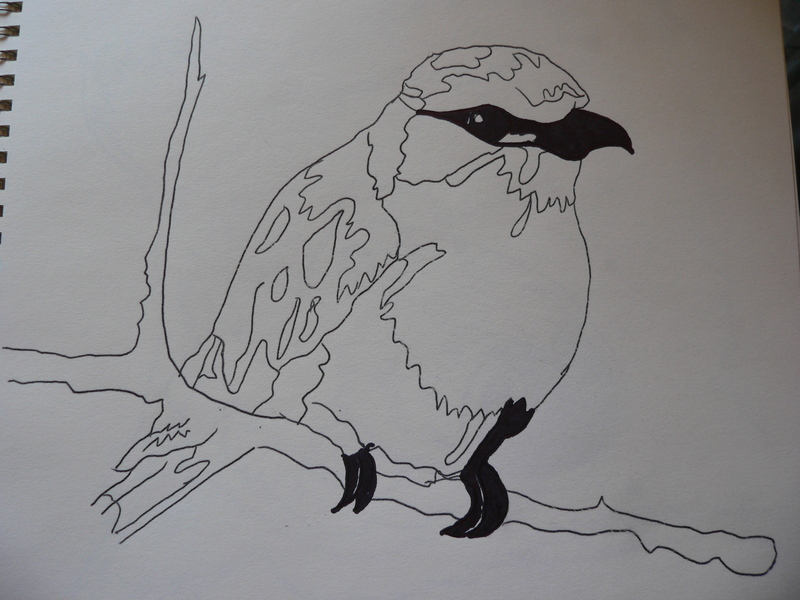 The last two birds I found on the net and traced. I’m studying the book, trying to absorb enough to get started. I think I’ll try to work in colored pencils first, so I’ll particularly study that section of the book. I’m having SUCH a good time with this. I love learning new techniques! I’m having so much FUN this afternoon! About two months ago I saw an ad on Facebook (I know, but there it was) for a “light box” or “LED tracing board.” Since I’m currently trying to learn new techniques for adding fur and feathers to animals, being able to trace a few outlines and distinctive features of drawings or pictures I like and then being able to concentrate on the techniques for making feathers and fur more realistic in various media seems like a wonderful idea. It doesn’t mean that I won’t continue to try to draw the animals and birds from scratch as time goes on, but – to be honest – I’m intimidated and it will take a while to work through that. 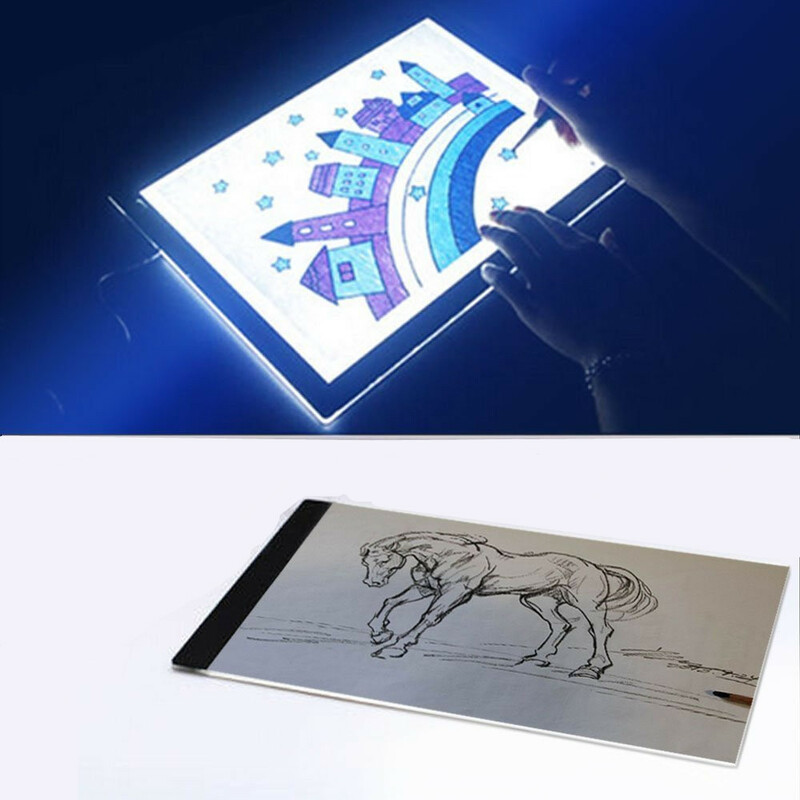 With the light box or tracing board, I can bypass my insecurities, learn, and have fun! 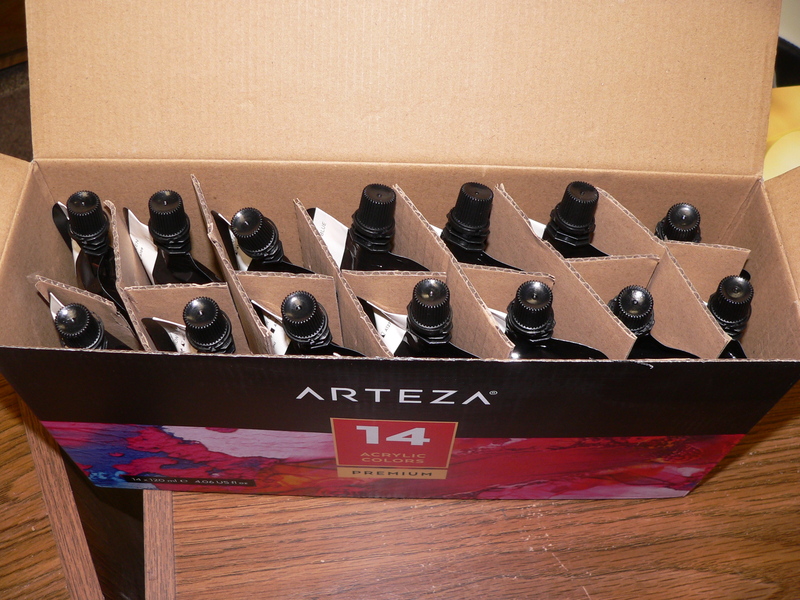 This gives you an idea of what I ordered. It came today and I’m like a kid in a candy shop. It’s ultra thin and you plug it into your computer. There are three intensities of LED light settings. I hooked it up, then ran upstairs to get my sketch book, tracing paper, carbon paper, pencils, plus my “Keys to Painting Fur & Feathers” edited by Rachel Rubin Wolf, and plopped down in front of my computer. 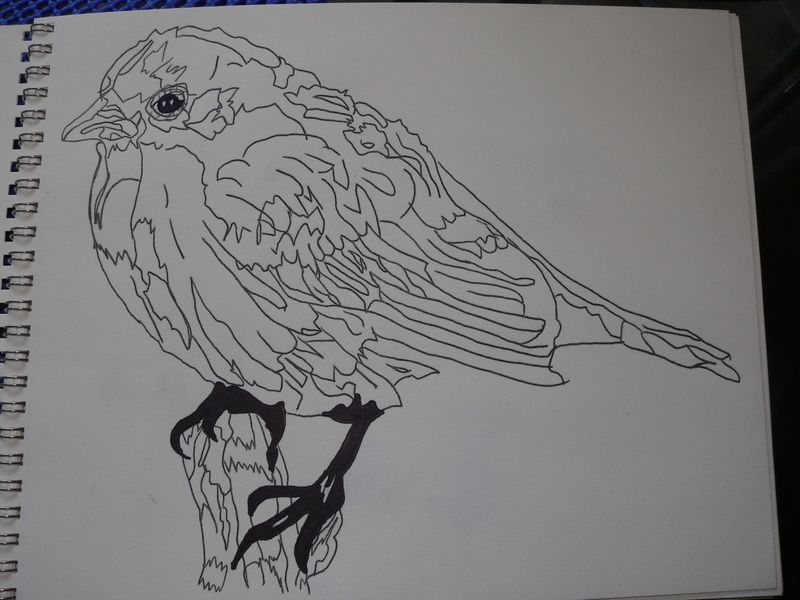 I’ve now traced a bird and am now using carbon paper to transfer it to my sketch book. 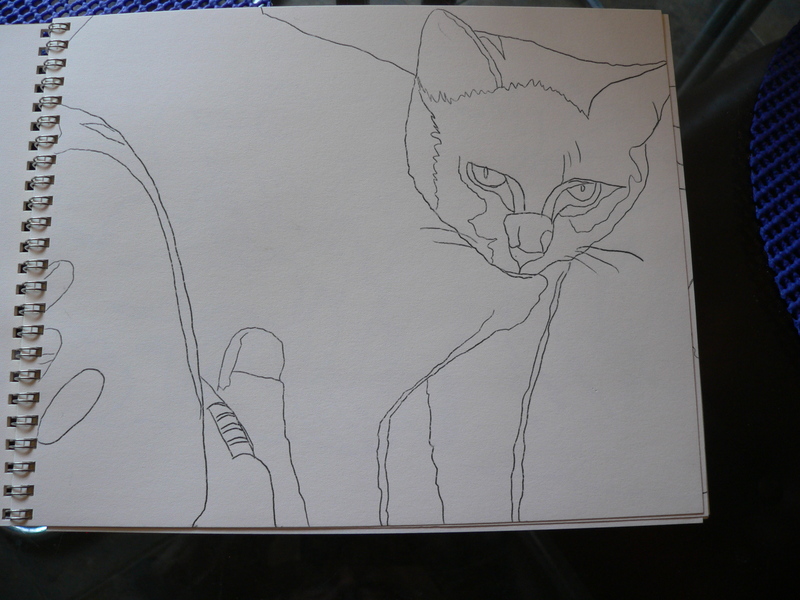 I have the outlines of two drawings I did years ago already in the sketch book. 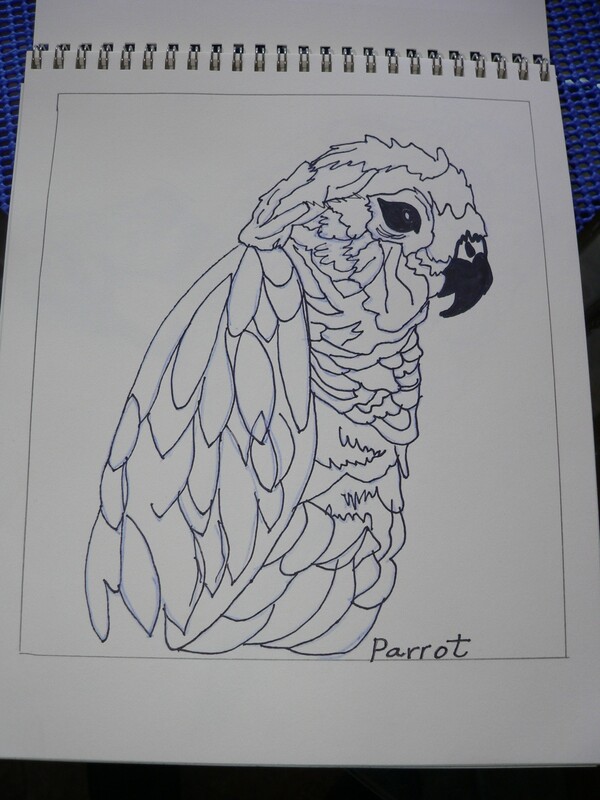 When I get several sketches (tracings) added, I can then concentrate on the suggestions for adding feathers to these beautiful creatures in colored pencils, watercolor, pastels, acrylics, pen & ink, and mixed media. 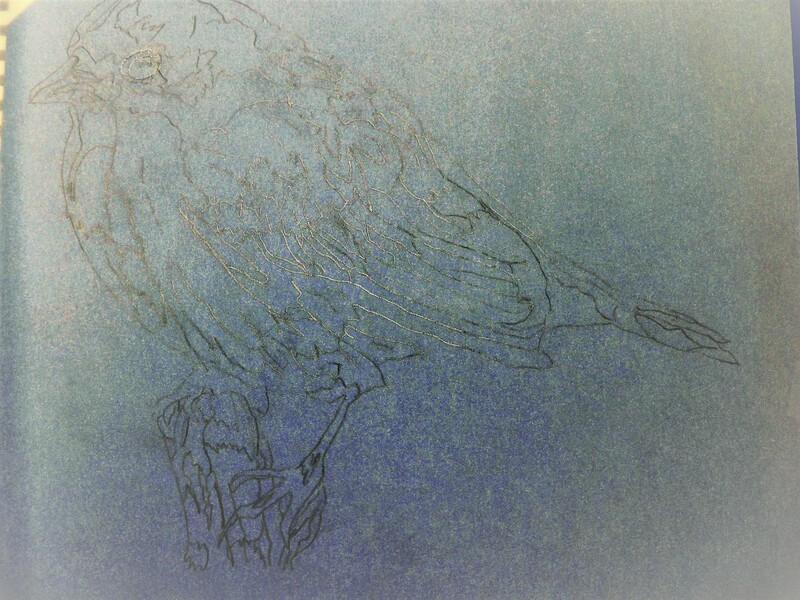 and this is the first step in the tracing of another bird I found that I like. 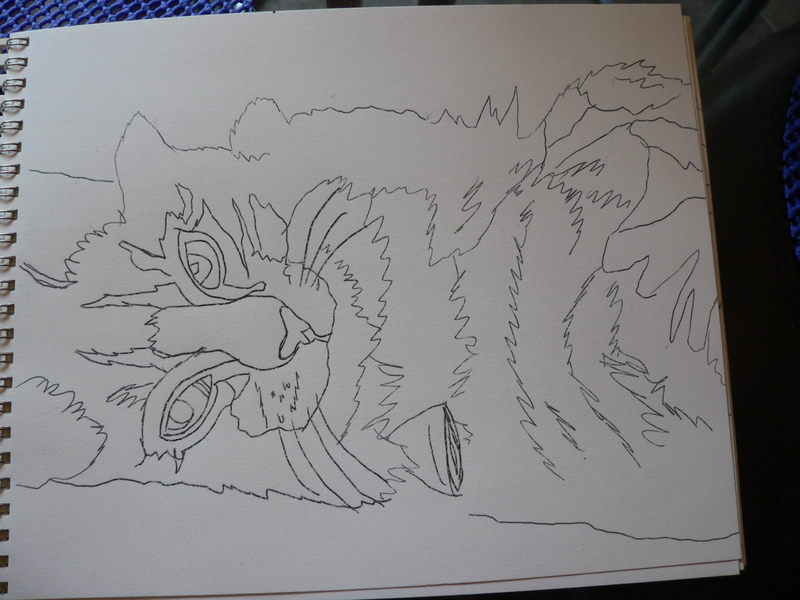 This is being transferred to my sketch book using carbon paper. I know this isn’t easy to see, but you can get the idea of what I’m doing. 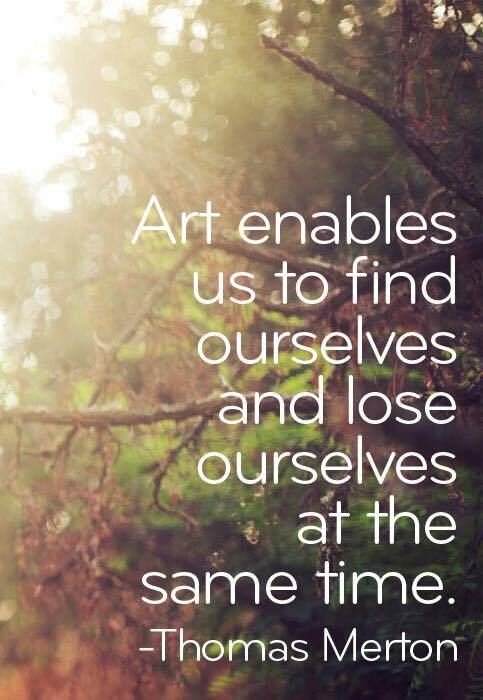 My good friend Marsha suggested that, instead of trying to give myself PERMISSION to play in my art room, I SCHEDULE it at least twice a week as a part of a program to be better to myself. I’ve taken that suggestion and have found my spirits lifting and getting excited about trying to learn something new. 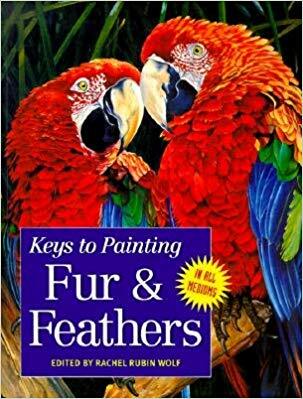 I have a book called Keys to Painting Fur & Feathers, edited by Rachel Rubin Wolf. It gives you hints about how to capture the essence of animals and birds, zeroing in on their most distinctive features in order to try to draw better pictures of them. 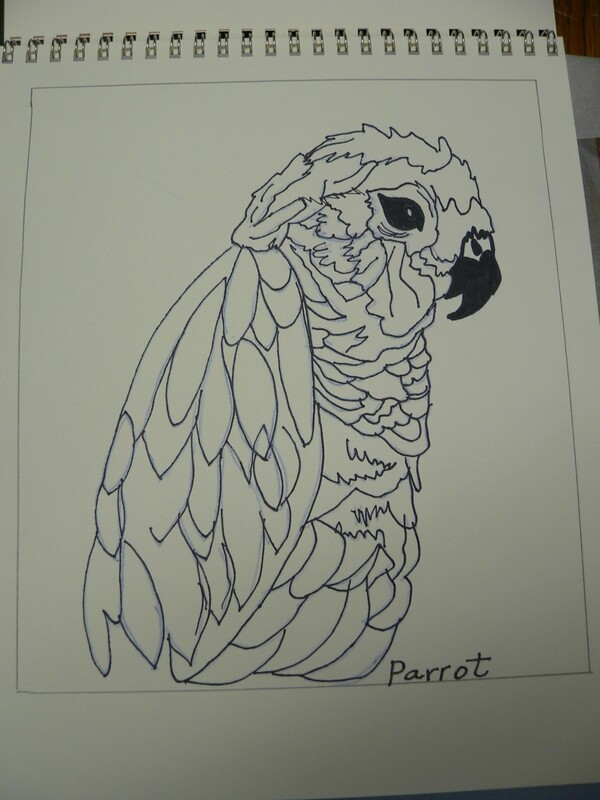 It also addresses trying to paint realistic fur and feathers. 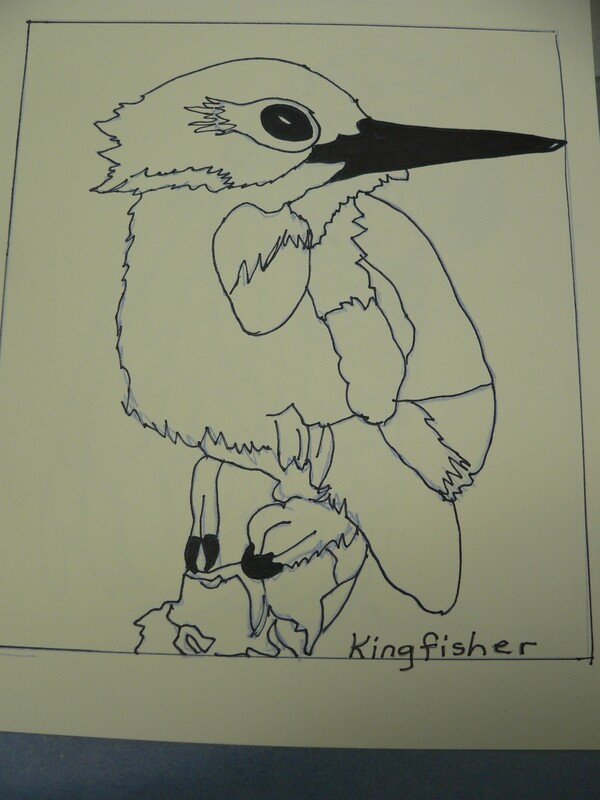 I decided to take a couple of my previous drawings and reproduce them, trying to concentrate on the feathers techniques. Then I found others I’d like to try, as well. I’m trying to get a bunch of these drawings into a sketch book and then play with them, using all kinds of different media and see what I get. I have to tell you the time flies as I ‘work’ in my art room. I turn on an mp3 player, listen to some of my favorite music in the comfort of my CLEAN, air-conditioned and ceiling-fanned room, a cup of coffee or a bottle of water beside me at the table. I’m excited about learning a completely new skill, and I’m very thankful to have this book for examples, suggestions, and inspiration. That was in 2000, and I started painting, crafting, trying to draw, experimenting with all kinds of things that gave me joy. I started a website with the wonderful help of my son who designed my website to show my own stuff and then expanded it for me so that I could add the work of others. He helped with the the business, end, too, and I enjoyed 17 years of association with some of the most creative, talented people from all over the world I’ve ever known. I made friends long distance. I worked my heart out trying to do all I could with the tiny budget I had to promote all of our work. I wouldn’t give up the opportunity I had for anything. I shut down my website, Creative Artworks, last year, and put my stuff on ArtFire and Etsy. I love playing in my art room. The problem is that I have to set an alarm now so I don’t lose all track of time! I just love experimenting with color, texture, and different techniques. I’m like a little kid with finger paints taking joy in the process. Most of the time I make a mess. It just doesn’t turn out the way I envisioned it. That doesn’t matter, though. I’m doing something I love. I’m practicing! I worked every summer from the time I was 14 through college, and then at full time jobs as a teacher, reading clinic owner/teacher, administrative secretary. medical transcriptionist/bookkeeper, and website owner/artist for some 57 years all told. Now I am retired, and busier than I’ve ever been. I honestly don’t know how I used to have time to work full time! Some people have real trouble adapting to a retired lifestyle. I’m very sorry for that. I have so MANY things I would like to do that I rarely have enough energy or time in the day to even make a dent in my list. I get overwhelmed with my ‘shoulds’ from time to time, and it’s been a long time since I gave myself permission to play in my art room, but I love the world my husband and I worked so many years to create. We also had the good fortune to inherit from our parents, so we’re comfortable financially if we don’t get stupid and greedy. I’m happy that I can entertain myself. I guess I could be a hermit with little trouble, spending days and days up here on top of my ridge line with my husband and our animals, my flowers and my garden, my greenhouse and our shop, my books and my art room, my computer and my blog – plus the chat program that is a direct line to our son far away – one day spilling into the next – the weeks, months, and years flying past my head, making my hair blow. I’m lucky enough to have relatives and friends that add so much fun, joy, and love to this hermit. In 1969 two wonderful things happened: my husband and I got married and I started teaching. My students were all black and I fell in love with them the first day. I taught first grade and we were in a self-contained classroom. This meant that I was responsible for trying to teach them everything. I was so excited about the opportunity it didn’t dawn on me that maybe I should be scared of all the responsibility, being a brand new teacher. We all learned a lot that first year. I learned that our daily lives were much different from each others’, but we could sure love. I was trying to teach them phonics, and it was difficult to get or keep them excited about ‘sounds’ of letters. I made up a really silly song about the sounds, brought my guitar to school and taught my kids the song. They loved it! I would play and they would dance and we would sing, absorbing the sounds the letters made, and gradually putting them together to make words. Words became phrases and phrases became sentences and reading began. I checked out books from the school library and brought some from home to read to them so that I could share my love of reading. I was supposed to have three reading groups, but I had six. 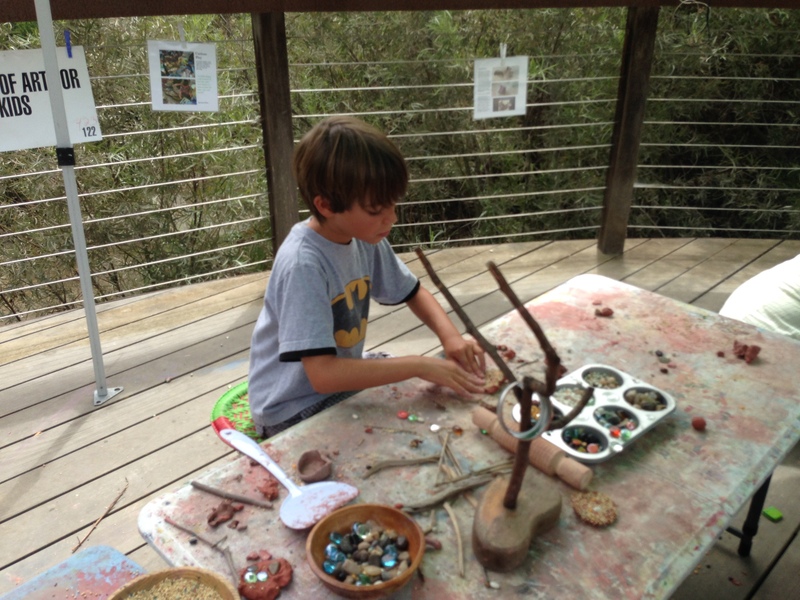 I found that my kids learned in different ways and that, in order to make things stick and come alive, I needed to use different approaches for each group. I had the fast learners work with the kids who were having trouble, and that helped, too. I encouraged my kids to do well by giving them paper certificates on Friday afternoons for good work – one child would get one for sitting still for his reading lesson. Another got one for a good score in spelling, and son on. I gave out the certificates under the one tree on the playground, weather permitting. My kids had trouble relating to the stories in the Weekly Reader, but we were required to go through it every week. My kids’ favorite use of it came when I rolled them up, climbed up on top of the waist-high heat register beside the windows and used it to swat a wasp that was threatening us and ruining our concentration. I loved teaching. When the light of understanding came on – I called it the ‘light bulb moment’ – my day was made. I had made something understandable to a child. Their eyes would light up, a smile lit their face, and they could then take the ball and run with it. There is absolutely nothing more thrilling in teaching than when a child gets excited about learning. I had a wonderful eight years in the Tulsa Public Schools. During that time I earned a Master’s Degree as a Reading Specialist. I then started and ran my own reading clinic for another three years – my partner an intern teacher who taught with me.) We changed a lot of lives. We helped people – kindergarten through adult) fill in the gaps in their learning that had kept them from making sense of the printed page. 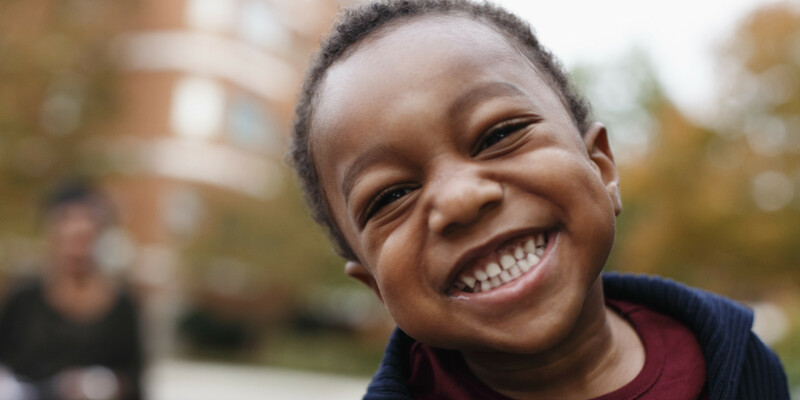 We unlocked doors, brought smiles and confidence. The only thing we didn’t do was make enough money to continue. It was with great regret that I closed the clinic and went back to the regular world to get a job that helped pay the bills. How lucky I was to have an opportunity I’ll never forget! 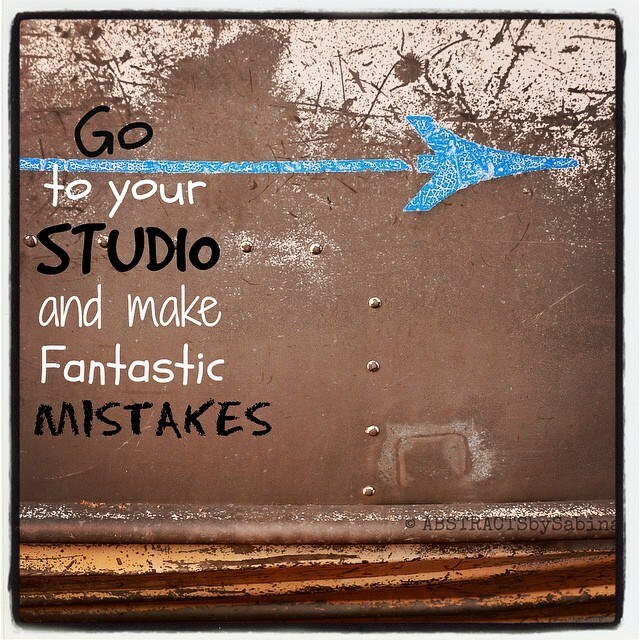 I planned to make glorious mistakes in my art room yesterday, since it was raining and I couldn’t work outside. Somehow, I couldn’t give myself permission to ignore some of the things that were staring at me inside our home that have been needing my attention. I ended up cleaning up the kitchen, getting the filing under control in the office, playing with the dogs, and the afternoon was gone. I have a lot of fun in my art room. Much of the time I just enjoy looking at the nice supplies I have, thrilled at the potential! Sometimes I simply play, trying some new techniques, stirring the pot, getting my juices flowing. I love it when I get an order for custom handmade cards, note cards, or stationery. 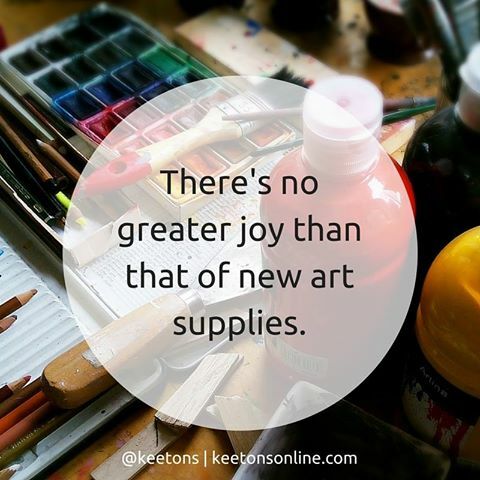 I can combine my love of art supplies – all the colors – and smells – and FEELS – with the joy of playing, coming up with designs I hope my customer will love. When I have an order, I drop everything else and concentrate on creation, my customer’s wishes foremost in my mind. At times like THIS, when I don’t have an order, it’s harder to allow myself to take time off. I almost feel I’m playing the old childhood game of “Mother, May I?” I’m trying to convince myself that playing is essential, that no one cares if the living room has been vacuumed yesterday, today, or tomorrow, and that I get no ‘points’ for crossing everything off my ever-growing list. There is a strong inner voice, though, that keeps repeating what a slob I am – that I should have a clean, well-organized home at all times…. I think I will try to SQUASH that mean little voice – maybe just for a while this afternoon – and let the joyous part of me play in the paint! 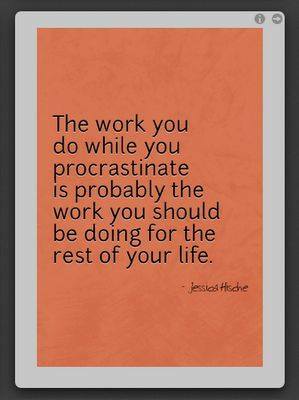 I’ve been fighting with my to-do list – it seems like for weeks now – not making much headway. Since today isn’t a good day to spend outside in my veggie garden, weeding my flower planters, or weed-whacking, I think I’ll take at least a bit of time this afternoon and play in my art room! You can see the sprinklers and hoses that run over the top of the boxes on either side, making up the irrigation system. I added the timer a few days ago to the outdoor faucet, so the garden gets watered for 10 minutes each morning. There are drain holes in each box so that excess water runs out freely. I’ve planted onion sets, iceberg head lettuce, romaine lettuce, broccoli, and spinach so far. 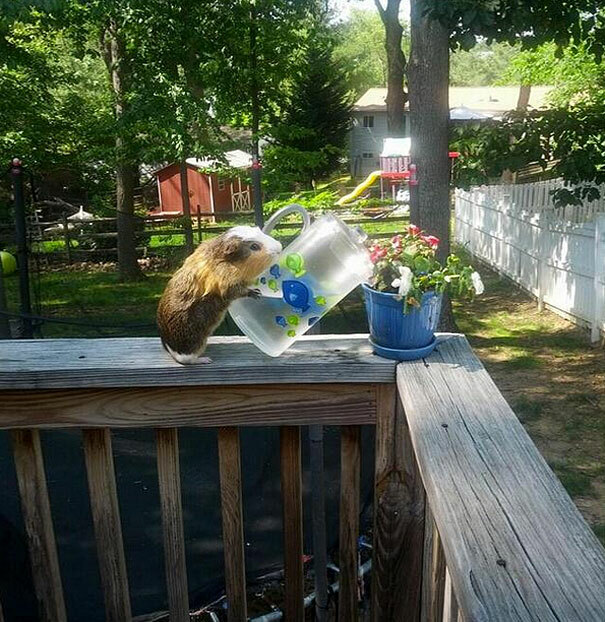 I’ll plant some radishes later, plus bring out starts of celery from the house. This year, except for the onion sets and radishes, I decided to only plant one plant in each square. There are only two of us eating salad in our household, so 4 lettuce plants to a square is too much for us to eat and the plants grow rapidly, crowding each other. I’m experimenting to see if this spread out version works better for us. The spindly plants around this lettuce plant are onion sets. The tops of the onions don’t look great, but I’m hoping that the actual onions are doing well. I won’t know for a long time. 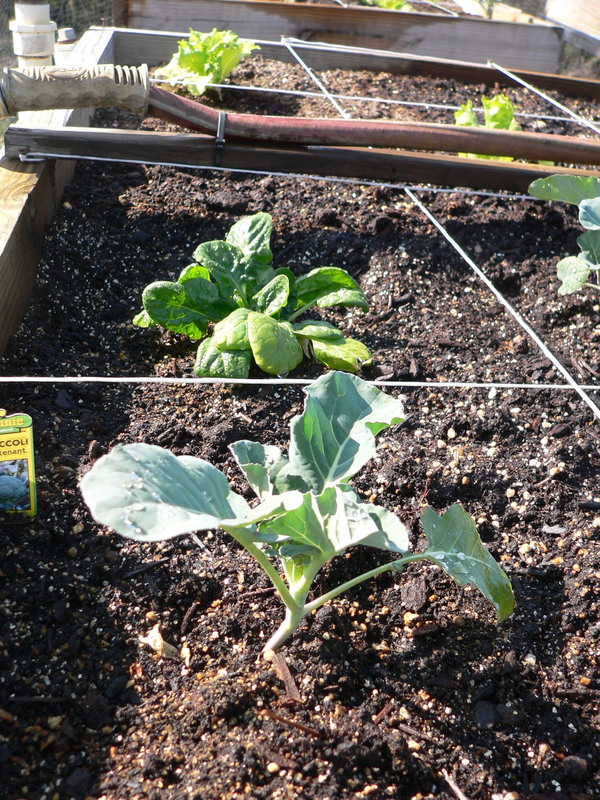 Here you can see broccoli in the foreground, a spinach plant in the middle, and lettuce toward the back. I’m planning to start the tomato plants we bought very soon. After I take the doggies out again, I’m heading upstairs to play in my art room. I received a suggestion that I do some thank you notes in the ‘thumb print” theme, but geared to boys, (“Thumbys”) since they need to write thank you notes, too, from time to time. It was also suggested that some “Thinking of You” cards in the same theme might be appreciated. 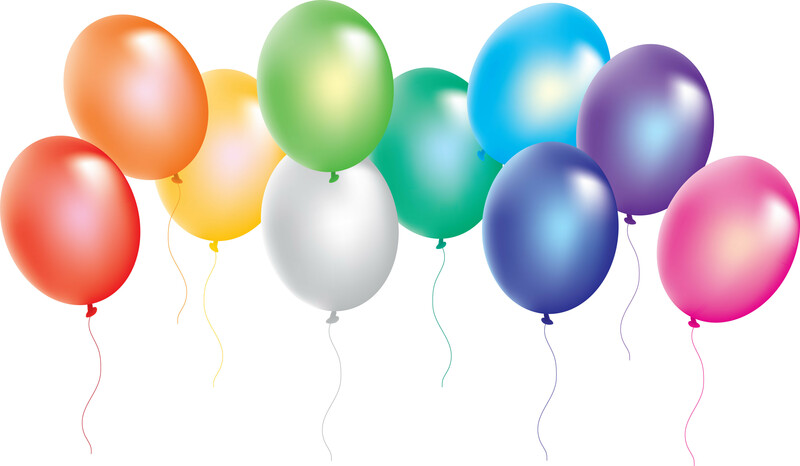 I hope that you are having some fun this afternoon, too! I don’t mean to point out the obvious, but I’m going say it: you’re not going to live forever. 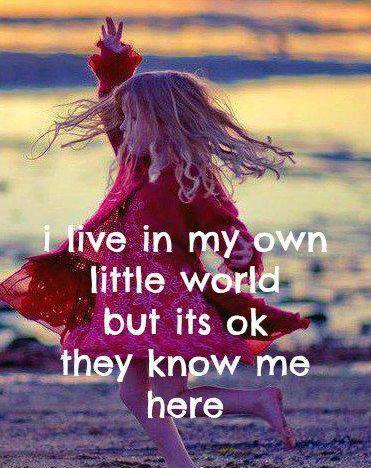 Neither am I.
I don’t know what makes you smile, laugh, or feel good, but you deserve to be doing more of it. A lot more. In fact, you deserve to be so giddy your cheeks hurt. 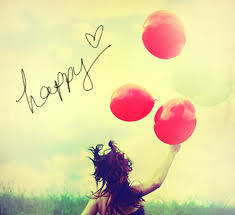 And if for some reason, you aren’t happy today, then find someone to make happy. I’m procrastinating right now. The beef stew is in the crock pot for tonight, and I finished cleaning up the kitchen afterwards. The dishwasher is going. I SHOULD be leaping up the tall ladder to tackle the highest shelf in the pantry. What am I doing? Sitting here on the computer typing another post to you! Finally I decided to share things I found that I loved: books and movies I liked; recipes I found that were really good; mind-boggling art by talented people; funny signs; sharing the metal critters and mailbox decorations my husband and I so enjoy creating; my struggles with getting the lard off and keeping moving; efforts to crawl out from under 30+ years of gathered ‘stuff,’ etc. I decided to write, TALKING to the kind people who read my stuff, about a wide variety of subjects. I decided to write to entertain, touch, or make people smirk. THIS has become a big focus of my day. 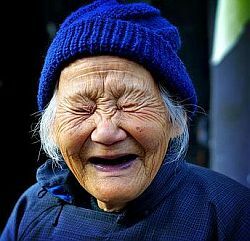 I LOVE looking for images I hope will make you smile. There are so many talented people in our world. We’re seeing some of them now at the Olympics. I love being able to live on the same planet as people who can excel at sports of all kinds, dance, art, and music. I love finding people who not only are good at what they do, they think outside the box and bring what they’re doing to an art form, enriching all who see it. So, as always, I ask for your feedback. I love comments reacting to what I’m saying. I appreciate comments on what you like, what you’d like to see more of, other subjects you’d like to see. Your following my blog is such a compliment. I hope you continue to enjoy it. P.S. I lost my help on the pantry due to this procrastination – my husband is on his way out to the shop to work on his welding late project. My own fault. I’ll just move slowly up and down the ladder, doing a bit at a time and then resting.